Áine Earley reflects on Peterloo following our recent screening and Q&A with the film’s director Mike Leigh and historian Jacqueline Riding. 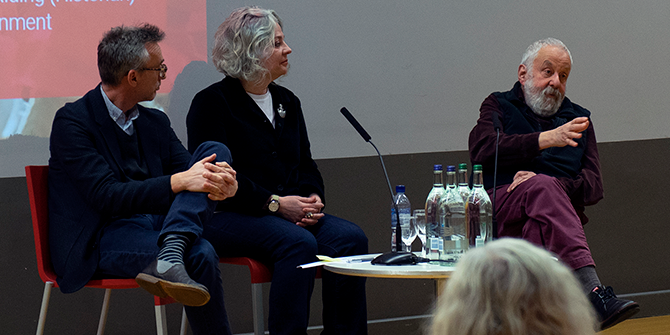 On the evening of Thursday March 7, the LSE Department of Government hosted a screening of the 2018 film Peterloo, followed by a Q and A session with award-winning director Mike Leigh and Historian Jacqueline Riding. Set in the wake of the Napoleonic wars, Peterloo tells the stark tale of the 1819 massacre of peaceful protestors who had gathered at St Peter’s Field, Manchester to demand voting rights and parliamentary reform. Opening on the battlefield of Waterloo as British-led forces finally defeated Napoleon Bonaparte in 1815, the film traces the events of the next four years largely through the character of Joseph, a Waterloo veteran who returns to his home in Northern England to find his family, like so many others, living in increasingly abject poverty. Plagued by unemployment and economic crisis, the film reveals how rising dissent and protest across Northern England struck terror into the very heart of Parliament in London, culminating in a brutal military reaction to a peaceful protest which left many dead and scores wounded, including veterans of Waterloo. 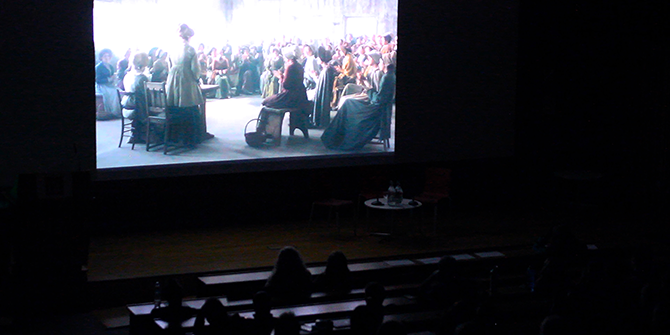 Introducing the film, Dr Jonathan Hopkin noted the importance which Leigh attaches to portraying the lives of ordinary people and their interaction with politics throughout much of his work, and this certainly comes to the fore in Peterloo. Despite switching from settings as diverse as an audience with the Prince Regent and parliamentary debates in London to political discussions by local newspaper owners in the offices of the Manchester Observer, Leigh introduces the audience to Joseph and his family early on as a clear example of an ordinary, working-class family and allows us to stay with them throughout the film, following the events as they interpret them and gaining an insight into their fears, hopes and dreams. However, whilst focusing largely on this family, a key strength of the film is that it manages to portray the events of 1819 through the eyes of the multiple parties involved. Partly enabled by the extensive running time (at 154 minutes, some could argue the film is perhaps a little too lengthy), Leigh succeeds in capturing the varying attitudes and reactions of many different levels of society, including the Crown, Parliament, local magistrates, the military, middle-class leaders and the poorest working-class labourers. There are a number of poignant moments throughout the film which capture the great disconnect between the ordinary people and those in power, perhaps the most striking being the final scene which, without giving too much away, is awash with irony and emotion (interestingly, unlike many historical films, Peterloo does not conclude with an on-screen narrative of what happened in the aftermath of the events; when questioned about this, Leigh revealed this was a deliberate decision as he wanted the viewer to leave reflecting on the intense feelings experienced in that final scene). Another notable moment comes when one of the local magistrates, who are vehemently opposed to the growing protests across Manchester and beyond, is seen composing a letter to the Home Secretary describing these acts of alleged “sedition” in grossly over-exaggerated terms, whilst standing under a painting of the Crucifixion; the hypocrisy is not lost on the audience, who earlier on have seen this man and his colleagues dishing out draconian sentences for the simplest of crimes, including sentencing a man to death for stealing a coat. The Q and A which followed the screening proved lively and informative. A sense of historical accuracy was very much felt throughout the film, but during the Q and A both Leigh and historian Jacqueline Riding (who worked closely with Leigh on the production) revealed the extreme lengths that were gone to in order to maximise attention to detail; many of the speeches, for example, were drawn from original sources, and much of the colloquial language employed was taken from nineteenth century encyclopaedias compiled by local vicars who travelled across Northern England. Although the use of local dialects proved challenging at times, and Leigh acknowledged that many directors avoid using vernacular language specifically for this reason, he explained that his priority was to have the audience believe in the story unfolding before them; despite occasional moments of confusion, there is no doubt that the use of local language and accents greatly added to the sense of authenticity. There were several questions regarding the class issues which were so obviously on display throughout the film, and which many feel still plague modern-day British society. Commenting on this, Leigh explained that two things which really struck him in making this film were the intense desires of ordinary people for the right to vote, and their extreme hunger for education and knowledge (despite being largely self-taught, the speeches of many of the reformist leaders were strewn with classical references such as Plato). In observing this, Leigh noted the horror and disgust which he believes they would feel were they to witness the cynical views of many towards both education and voting today. His observations, and indeed the film itself with its clear underscoring of the strength of “people power”, offered much food for thought, particularly for government students in these turbulent political times with so much mention of a “people’s vote” and “constitutional crises”. Before wrapping up, Leigh was asked if he had any advice for young filmmakers. His response was short but to the point; never compromise, do what you believe in, and find ways to make your voice heard. In many ways, it is not hard to imagine the same advice being given by local leaders to the great crowds that amassed on St Peter’s Field, Manchester on that infamous day in 1819 which Peterloo recreates so movingly, for these were a people who clearly knew what they believed in and understood the importance of taking action in numbers to demand it. A fine historical drama, Peterloo is not just entertaining and informative, but also thought-provoking; despite coming some 200 years after the events it portrays, it may still hold lessons for those advocating democratic reforms in modern-day Britain, and beyond. 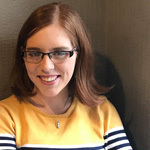 Áine Earley is an MSc Conflict Studies student from Ireland, and her interests include political violence, post-conflict reconciliation, peacekeeping and power-sharing.